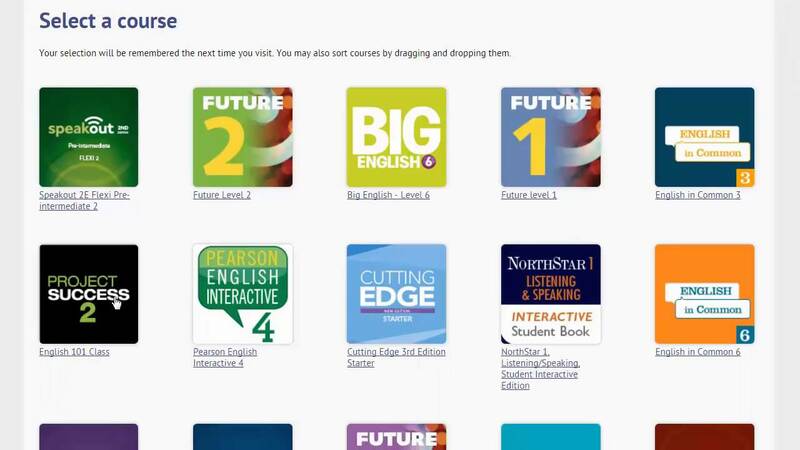 From having video, audio and voice-record tools all in one place, to getting all of your work marked automatically, MyEnglishLab extends your Pearson course. Following alongside your course, MyEnglishLab activities replicate the content your students complete in a workbook, but in an interactive, engaging environment. Learners will see a range of question types including writing essays, listening to audio and recording their own voices online. They can access all their content in one place and receive instant feedback on each task, helping to build confidence and improve on their mistakes. View sample activities from Placement, the English Placement Test run through MyEnglishLab. Assessment is built into MyEnglishLab every step of the way. Each activity that students complete is recorded on the MyEnglishLab grade book, making it easy to see students' strengths and weaknesses. It can be viewed for the whole class or individual students. You can also find out which errors are common among your students, using the Common Error Report. With this information, you can focus valuable class time on the areas that are needed the most and, if necessary, assign remedial activities. MyEnglishLab has a range of tools to make class management simple and hassle-free. You can add your students to a course, view their progress and export results at the touch of a button. You can also take advantage of useful tools for students, such as the to-do list, email notifications and homework assignment, making it easier for students to manage their workload. Our online messaging tool also allows you to communication with students in a safe and secure environment.